(PsychologyToday.com — September 20, 2016) Ask 10 random people what a concussion is, and you’d probably get 10 answers. Despite all the recent attention, the injury still is referred to as getting “your bell rung,” “knocked out” or “dinged up” in sports. 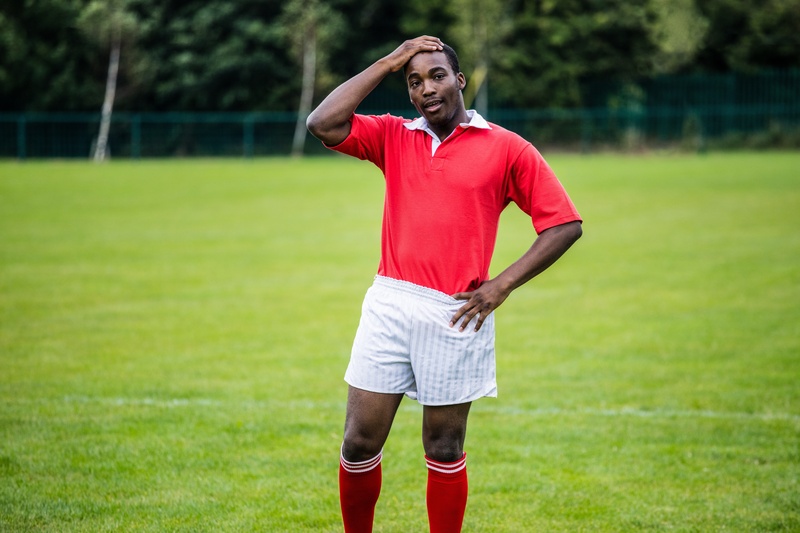 These terms minimize the potential severity of the injury, so athletes are often encouraged to “shake it off,” returning to gameplay while possibly have a mild traumatic brain injury. Instead, let’s reframe the conversation by comparing a concussion — or “brain sprain” — with an ankle sprain, before defining the injury further. First, like an ankle sprain, concussion injuries vary in severity. Also, both ankle and brain sprains require rest, and time for healing with progressive daily treatments that do not re-injure the area. Symptoms of both injuries may not appear for several minutes, even hours. Continuing to play with either of the injuries puts the athlete at risk of further injury. And, unfortunately, both ankle and brain sprains may have long-lasting effects as well. Ankle sprains, however, are easier to detect and leave little room for faking symptoms. Unfortunately, you could argue that ankle sprains get more treatment attention, yet a brain sprain can be fatal if not handled properly. So do not interpret “brain sprain” as a trivial injury. A concussion is like a “sprain” because of associated tissue injury. The key difference between an “ankle sprain” and “brain sprain” are the more dire repercussions associated with a brain sprain affecting cognitive, emotional, and behavioral functions. These impairments can drastically alter the course of life. Comparing concussions to ankle sprains only takes you so far. So what is a concussion? Does every hit to the head cause one? How severe is a concussion? Does a loss of consciousness qualify as a concussion? Here’s a good starting point. Think of a bruised banana—in simple terms, that’s what a concussion is like. The banana’s interior can suffer damage when enough force is felt by the exterior. As mentioned above, you may think of a concussion like a brain sprain, because it’s usually disabling, but typically a person can recover from the disability in time and with a lot of rest. Like an ankle sprain, a concussion has temporary consequences, and if not healed properly, can result in residual and degenerative difficulties. You may be able to continue playing on an ankle sprain and brain sprain, but if you do the risk of greater injury increases. As with ankle sprains, the severity is often minimized and that’s something you don’t want to do with the brain. The severity spectrum of brain injuries range from mild to moderate to severe for concussions. Concussion is widely considered as a mild traumatic brain injury. Concussion is an injury that can last hours, days, and weeks or even months, with the persistent symptom complex referred to as Post-Concussion Syndrome or mild traumatic brain injury (mTBI). The most important factor to know about signs and symptoms of concussions is that they may not materialize until several minutes, hours, or days after the injury occurs. This makes concussion detection a tricky business, because the athlete may not make the association of delayed symptoms such as headache with the collision injury and may want to return to practice or the game. Below are explanations of common signs and symptoms. These symptoms result in temporary lapses according to the areas of the brain that have been affected. A variety of signs accompany concussion including somatic symptoms (such as headache and vertigo), impaired cognition (such as difficulty with memory or concentration), emotional extremes (such as worry, mood or anger problems), and abnormal physical signs (such as loss of consciousness, numbness, weakness, and loss of balance). It’s also important to note that any of these symptoms are often present in combination with the others. Loss of Consciousness: This is the most obvious and scariest sign of a concussion. Only 10 percent of concussions result in loss of consciousness, according to a 2010 Pediatrics review article. When a player loses consciousness temporarily, the brain continues serving its involuntary functions, but its conscious and voluntary functions discontinue. During this period of time, do not to move the individual to avoid complicating possible spinal injury, which could result in quadriplegia or death. Allow the brain to “re-boot” for up to 30 seconds. If the athlete does not regain consciousness in 30 seconds, then consider the need for CPR, and call 9-1-1. Confusion: The most common symptom is temporary confusion, often associated with a “dazed” look or vacant stare. A confused, concussed individual probably won’t talk much, because the brain is trying to restore order and understand the circumstances. If the individual does talk, the words may be jumbled, rapid, or generally nonsensical and irrelevant. Retrograde — Forgetting things that happened before the incident. Anterograde — Inability to remember facts after the concussion. Disorientation: Related to spatial relations, a concussion can affect the individual’s ability to know where they are, what day it is, and what they were doing at the time of the injury. The athlete may get up and go to the wrong huddle or sideline. Delayed Verbal/Motor Response: Slow, slurred, or incoherent speech as well as inability to move or walk normally can be associated with concussion. Inability to Focus: A concussion may be evident if the individual has trouble paying attention and focusing on the conversation or game situation. Headache: Due to a concussion, headaches that are very similar to migraines complete with nausea, vomiting, and sensory sensitivity may present as a symptom. Disequilibrium: A problem with balance and feelings of dizziness are common signs. Visual Disturbances: Vision may become blurred, doubled, or overly sensitive to light. Nausea/Vomiting: May occur in the absence of headache. Emotional Liability (mood swings): When hits occur to the sides of the head, or temporal lobes, you may notice anger outbursts, inappropriate laughing, extreme sadness, or overt stubbornness not typical of the individual. Sleep Disruption: Excessive drowsiness or inability to sleep is usually a delayed symptom of a concussion presumably due to disruption of the sleep pathways rising up through the brainstem and imbalance of the neurotransmitters.